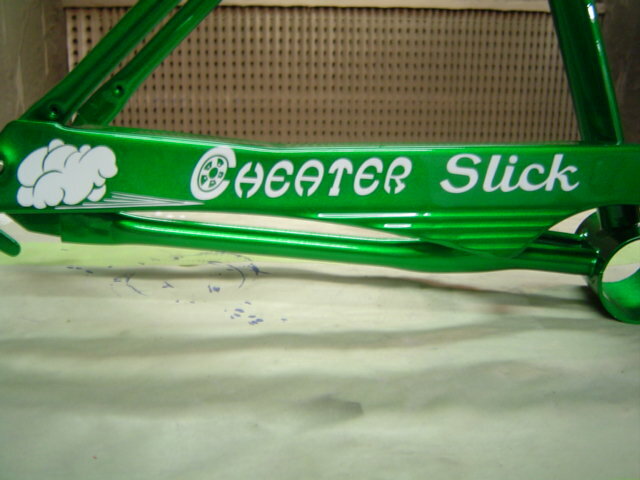 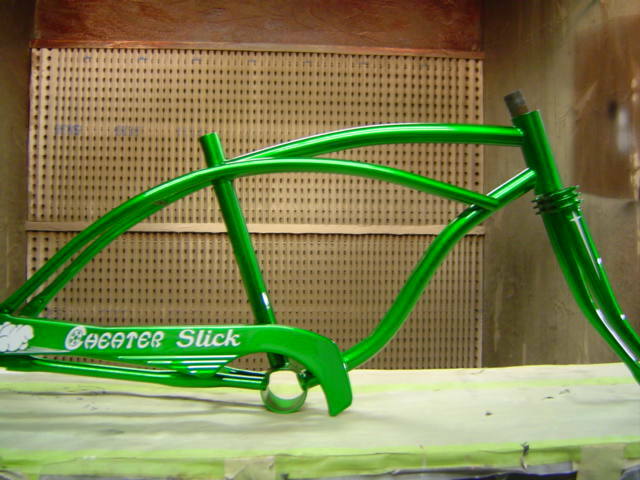 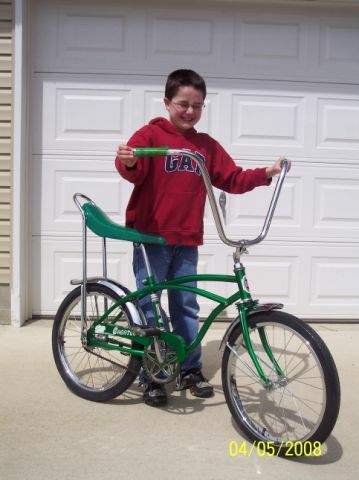 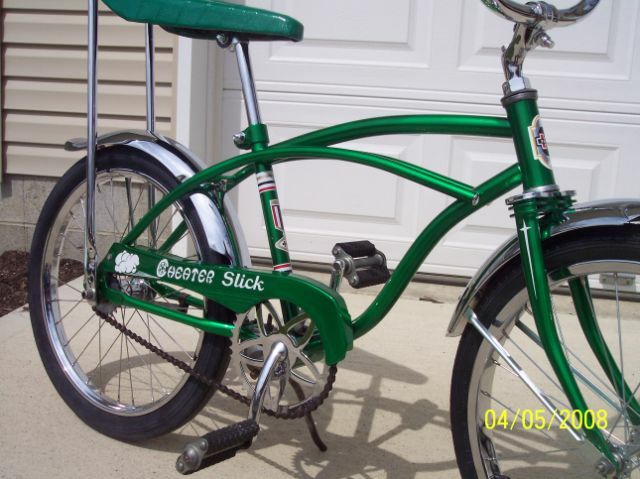 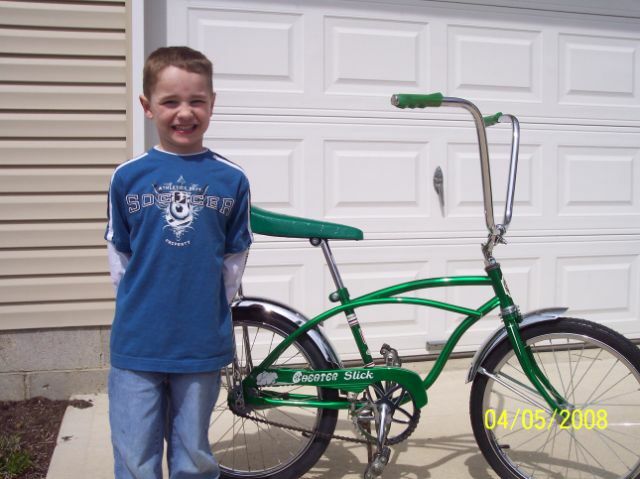 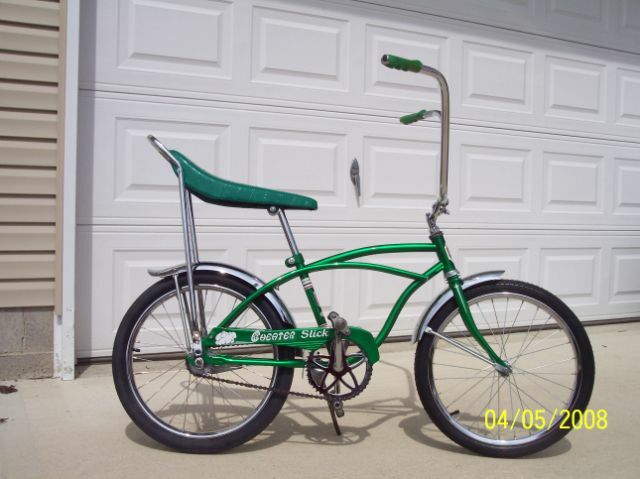 Huffy "cheater slick" restoration. 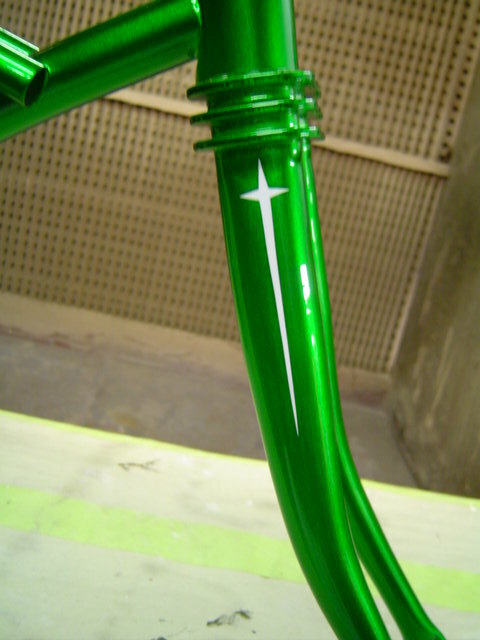 All paint. 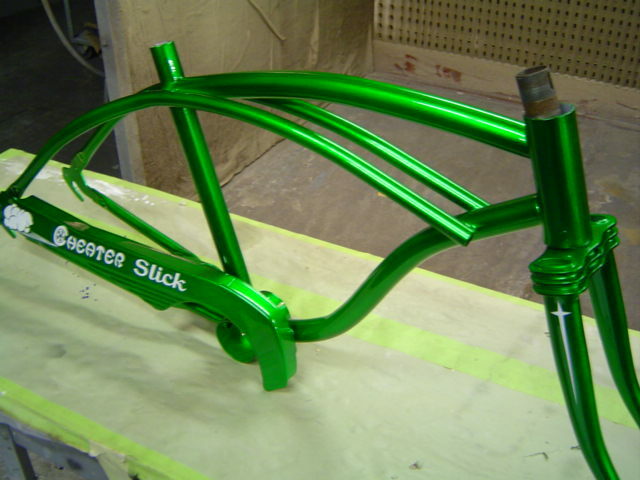 House of Kolor Organic Green over Orion Silver.